Blog Managing Global Insecurity - Photos, Tweets, & Podcast! 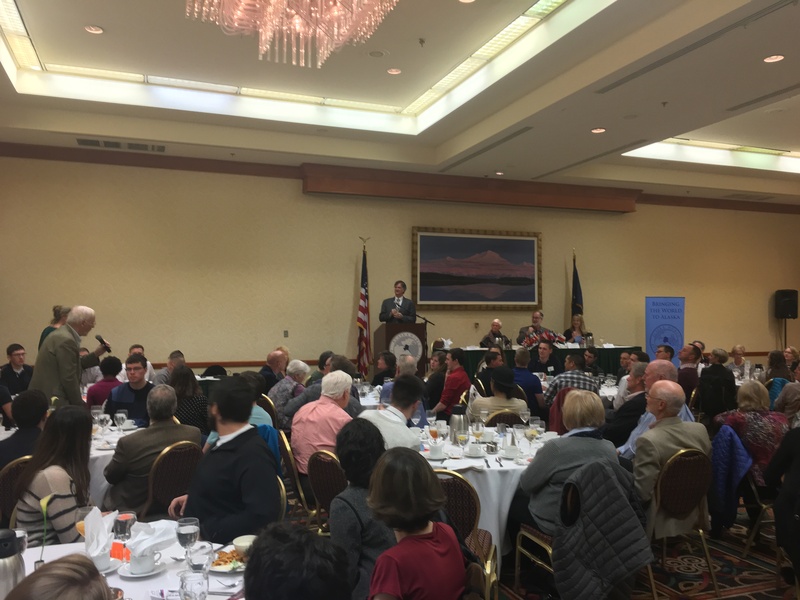 On April 22nd, Dr. Stephen Stedman of the Center on Democracy, Development, and Rule of Law at Stanford University spoke with over 120 Alaskans on the issues of global security facing the us currently and in the years to come. He gave us some reasons for hope (for example, declining rates of poverty overall), while stressing the importance of continuing to address the threats we face. Dr. Stedman’s candid manner and willingness to discuss even the most difficult and controversial of issues made the program incredibly engaging, and the audience left the program eager to learn more. For more information about Dr. Stedman, visit the archived event page. To listen to the podcast of Dr. Stedman’s riveting talk check out Alaska Public Media’s website.